I wrote an extensive post on my personal blog over the summer on why I developed this course and the companion podcast. I won’t rehash what’s in that post but TLDR; for those new here: becoming a digital nomad was the single most transformative experience I’ve ever had and one that almost didn’t happen for me. Having now navigated it successfully for the past three years I decided to build the resources I wish existed when I was contemplating taking the leap. You could (and should) ask “Why do you care so much if others have this experience?” Making the nomadic lifestyle more accessible to folks is merely a stepping stone to accomplishing my larger goal which is to help break others out of their adult slumber. For more context on this read my linked post above on the concept of “lost Einsteins” and the implications for society. I’m a late-bloomer when it comes to discovering nomadism having entered the fray at age 40. And I am admittedly projecting here but I believe there are a fair number of other working adults who arrive at the point I was at feeling “Is this all there is?” I had a remote job earning me decent money working for a great company working out of my apartment in Phoenix. Things were fine but I found myself in a professional and social rut feeling like something was missing and not knowing what to change. I was fortunate to stumble into the nomadic existence through pure serendipity. 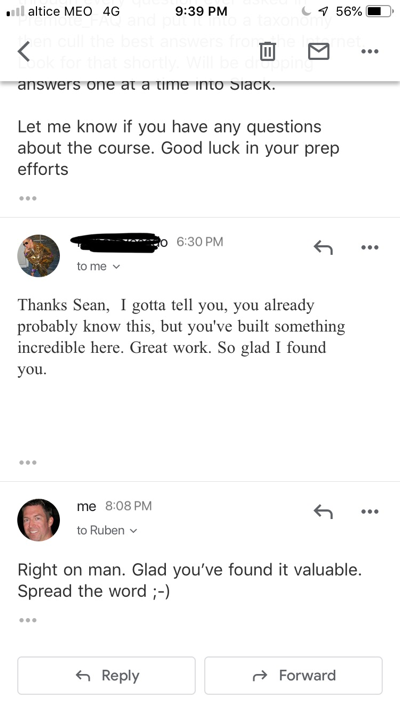 A buddy of mine had been accepted to a remote work/travel program and came to me for advice about how he could take his current job on the road. In the course of advising him I learned that he was standing on the precipice of a year-long international adventure that promised to take him and 74 strangers all over the world. I was immediately transfixed. I applied that night to the same travel program and eventually got accepted and traveled for a year with my friend and these 73 other strangers who became family. But the path to going all-in on that adventure was a lot of restless nights questioning whether I had it in me to uproot and do this crazy thing. I felt the weight of 1000 different loops that had to be closed before I could leave and there were multiple points where I questioned whether I was making the right decision to go. Fast forward to today, I now live in Lisbon, Portugal for half of the year and spend the other half traveling and exploring the world. I still have my original Evernote checklist that tracks all those todo’s which loomed so large at the time and in hindsight are so trivial. These nearly derailed me from pursuing what has been nothing short of the most transformative thing I’ve ever done. The experience of going nomadic via this program ejected me from the social and professional rut I was in and propelled me into the next orbit of life. I’ve met people from all walks of life everywhere around the world, formed incredible friendships with folks inside and outside my group, spoken at conferences, been featured in a number of reputable publications, had the best sales year of my life, mentored others and all of it was so close to never happening. To help others beat gravity so that they can be free to do what they’re born to do. That phrase is the closest thing I have to a personal mission statement. My first order goal with this course is to inspire and remove enough of the friction holding you back from taking this leap and thereby enable this experience for some number of people (potentially you) who wouldn’t have otherwise done it. I’ve put upwards of 300 hours total so far into developing the course content, the podcast, the blog aggregator and all the supporting materials all in my off-hours while continuing my full-time job for Pagely. Between the new partnerships, new features and new content I’m poised to announce it feels like it’s all at an inflection point and therefore it’s time to implement an outlet for sharing some of these developments. Hence why I’ve started the blog. It’s messages like these that keep me plodding along and validate that this is truly an important and worthwhile endeavor. I’ll be dropping some useful stuff here over the next few weeks. If you want to stay abreast of developments and happen to use an RSS reader you can monitor our RSS feed, follow any of our social media channels (links in the footer), subscribe to the podcast on any of your favorite podcasting platforms or simply enroll as a student and get the emails. I look forward to sharing this journey here as it unfolds.